After a long and bumpy drive, the hike around Toad Lake offers an easy trip along the grassy shores of a beautiful high elevation lake basin and the chance to climb up to awesome Porcupine Lake. Note: This trail is reached by a rough road, some of which may be unsuitable for low clearance vehicles. High clearance recommended. Porcupine Peak peeks over the ridge above Toad Lake. 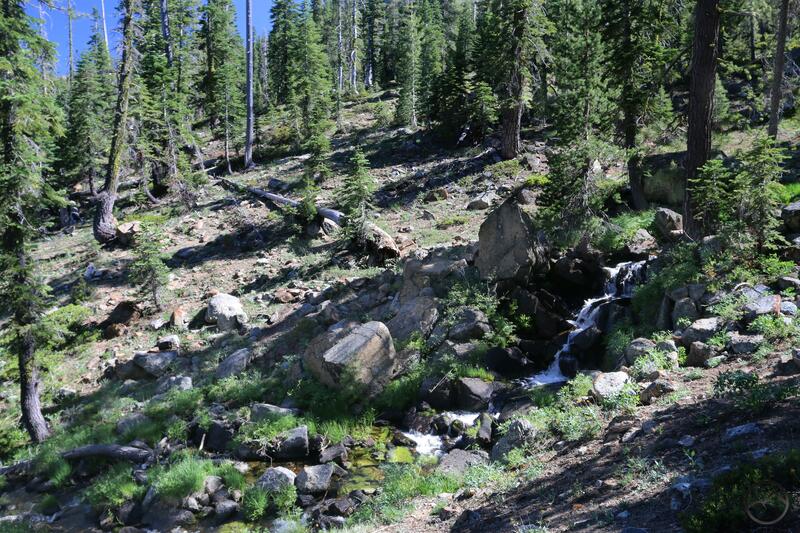 Nestled at the head of the canyon containing the headwaters of the Middle Fork of the Sacramento is large Toad Lake. Ringed with a meadowy fringe, the lake is a lush and peaceful spot, crowned by a crescent of rocky cliffs and wooded slopes. The cliffs on the southern side of the lake are particularly notable, as they are included in the Toad Lake Botanical area, which was established to protect sensitive flora. The hike to the lake passes through verdant meadows before reaching the lake. It then follows the north shore, right along the water, before climb up a bench and joining the Pacific Crest Trail high above the water. 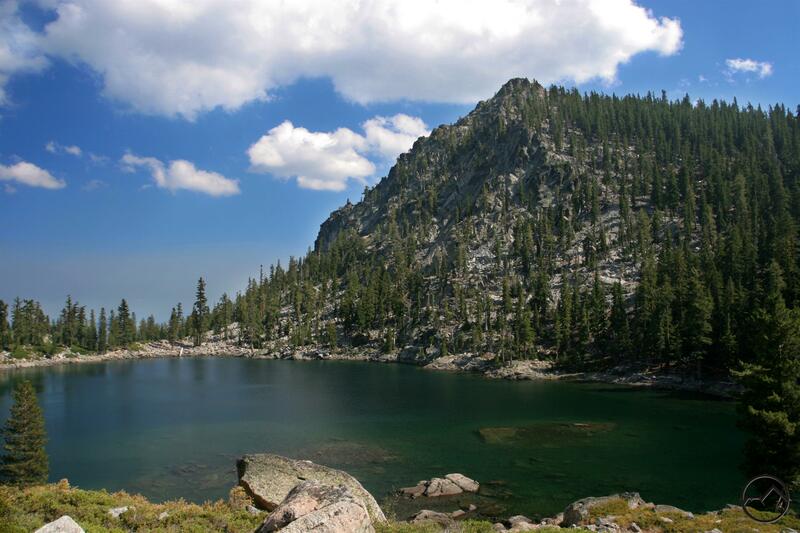 From there, a short stint on the PCT leads to nearby Porcupine Lake and excellent Porcupine Peak. 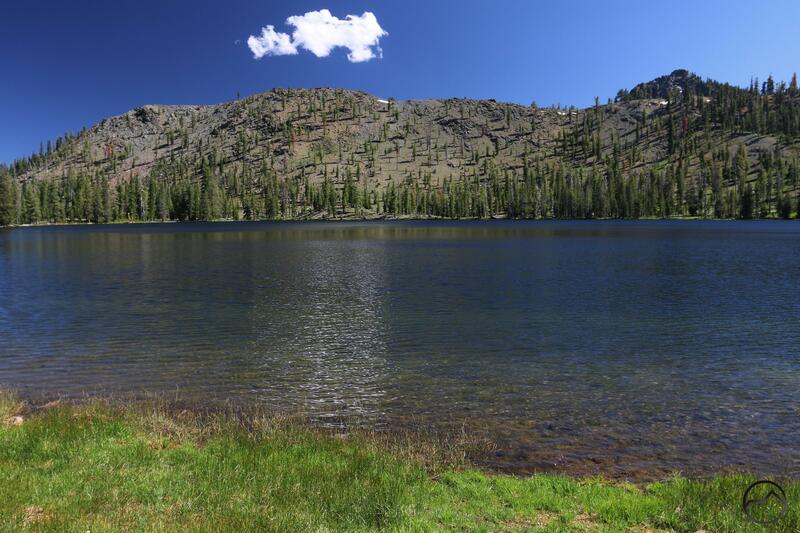 This scenic alpine gem is possibly the most remote of all the lakes that lie along the crest of the Eddy Range, which is the highest section of the large Trinity Divide. 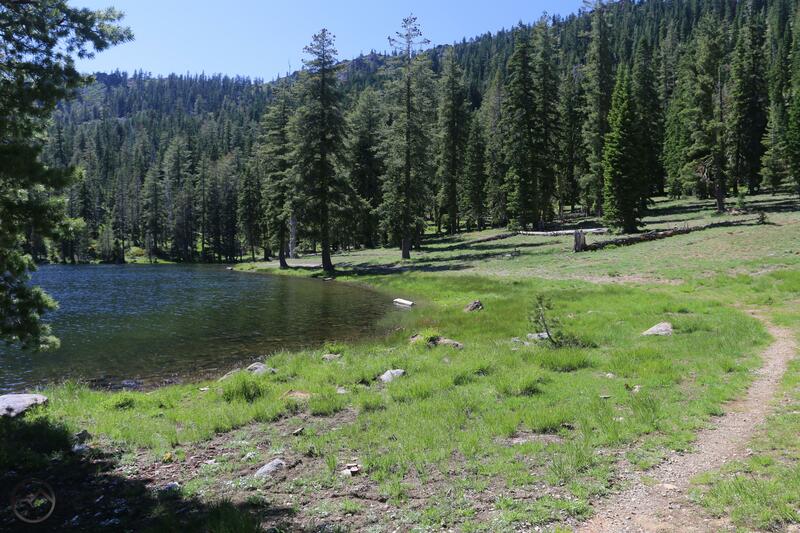 Porcupine Lake is located just to the south but it is just a little closer (not by much) to the Gumboot trailhead and more easily accessed off of the Pacific Crest Trail. Most traffic coming to Toad Lake does so via the PCT, coming from Gumboot or from the north, via the Parks Creek trailhead. Yet, despite the distance from the primary trailheads on the PCT, Toad Lake is actually a short walk from the third option getting there, which is via a road the makes the lengthy climb up the canyon of the Middle Fork of the Sacramento River. The drive up this canyon is probably the longest, roughest approach of any of the trails in the Trinity Divide but the easy access to the high country of the Eddy Range makes the journey a worthy effort. Looking north at the divide. From the dirt parking area, head west on the trail, immediately crossing a series of small streams and entering a wide meadow. The meadows spreads out on both sides of the trail but the view to the north is particularly noteworthy. A high, rocky ridge rises 1,000 feet overhead. This is the divide between the Middle and North Forks of the Sacramento River. Though unseen from this vantage point, the PCT crosses the divide at the point visible above the meadow. Continue west, through the meadow until reaching a fork in the trail. The path left is the remnants of the old road that once reached Toad Lake. This is a good return route as part of a short loop on the way back to the trailhead. Stay to the right and continue climbing up toward Toad Lake. Be sure to watch for bell-shaped Darlingtonia pitcher plant in the meadow. These are carnivorous plants endemic to the Klamath Mountains, which the Trinity Divide is a part of. 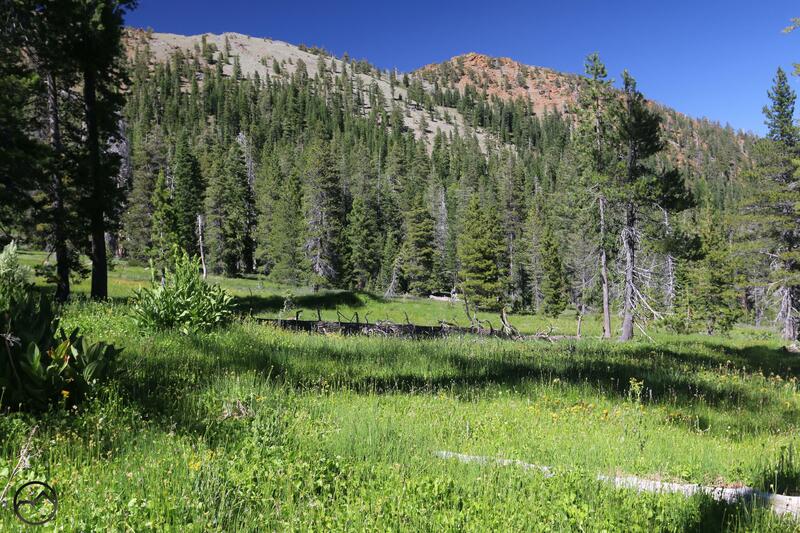 After climbing through the meadow, the trail deposits you at the edge of Toad Lake. This is the fourth largest lake in the Trinity Divide, after Castle, Little Crater and Middle Deadfall Lakes. It is a lovely spot, with meadow along most of the shorline and cliffs closing in much of the basin. Though they are not exceptionally high, they form a scenic backdrop to the lake. Note the sparse trees on the south side. The soil here is particularly poor and creates harsh living conditions where only hearty trees and unusual species are able to grow. This area was also the site of an old Forest Service campground. Though the pit toilet and picnic table remain, the campground is officially decommissioned. 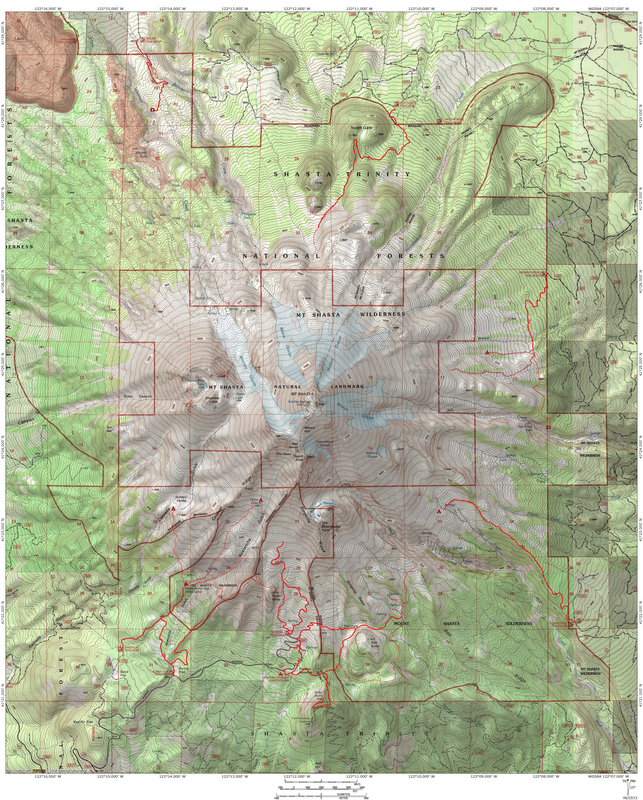 It has been stricken from Forest Service literature and maps. Nonetheless, it is still in use in an unofficial capacity and is a gorgeous place for a walk-in campground. The trail passes some of the sites once it reaches the water and turns north, following along the northern shore of the lake. As the trail follows the contour of the lake, it enters the most heavily wooded part of the Toad Lake shoreline. There are a few more campsites in this area. After staying right at a fork, the path then angles away from the lake and begins to climb. Below the trail is a pretty lakeside meadow. This is fed by a small, spring-fed creek, which is audible from the trail. Soon the little creek must be crossed. Once on the other side, the path continues to climb toward the south rim of the Toad Lake Basin. As you near the rim the trail makes a short series of switchbacks before finally leveling off and arriving at a junction with the PCT. Be sure to look east from here, where there is a spectacular vista of Toad Lake and Mount Shasta just peaking around the divide that separates the North and Middel Fork canyons. It is an inspiring sight. 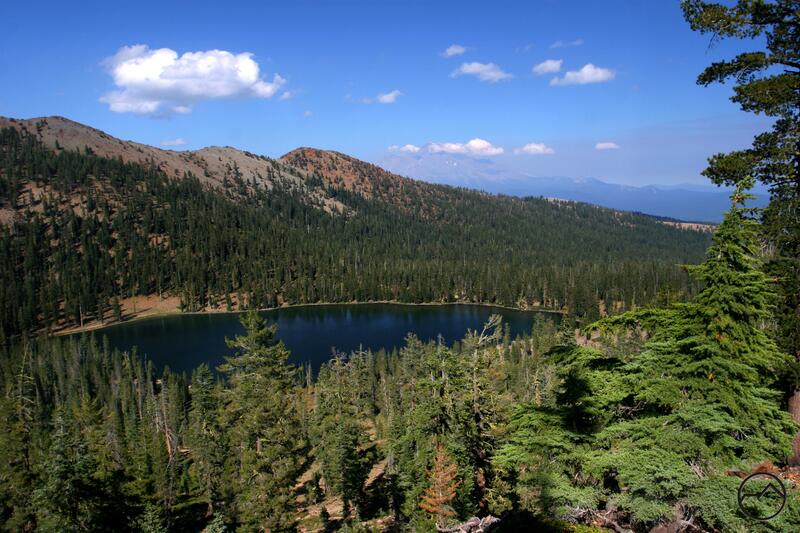 For hikers looking for a longer extension of the trip, you can follow the PCT around to the north and get a good vantage down into the North Fork Canyon and the large, southern, foxtail pine-covered slope of Mount Eddy. Most hikers will opt to take the shorter but awesome trip to nearby Porcupine Lake. This beautiful lake is tucked into a gorgeous basin that nearly encloses the lake on all sides. The route to get there follows the PCT for a short stretch before meeting up with the spur that leads up to the lake. From here there is a good vantage to the southeast, where you can spot the high peaks of the Castle Crags Wilderness as well as some of the granite spires of the Castle Crags themselves. Even distant Lassen Peak can be spotted. Follow the spur up to the west and quickly arrive at the edge of beautiful Porcupine Lake. The great pyramid of Porcupine Peak, a summit prominently visible from the southern part of Mount Shasta City rises out of the lake’s southern shore. Other high peaks line the basin on the north side. There are a few campsites at the east end of lake. After enjoying the cool water and awesome views, return the way you came. Toad Lake’s outlet creek rushes over a small waterfall. On the way back to the trailhead, there are a couple of extra options. A well-established but unofficial path follows around the southern shore of Toad Lake. 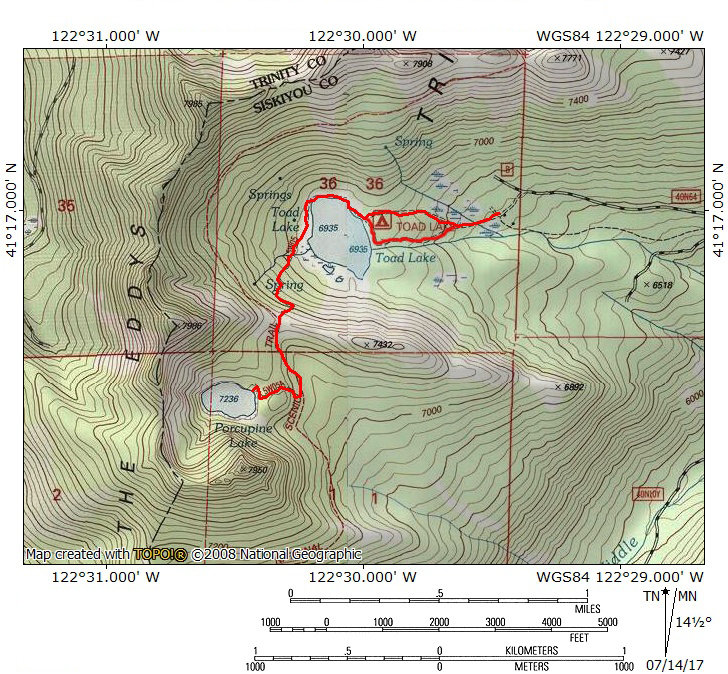 As you descend down to Toad Lake from the PCT, turn right at the track that continues around the shore. Follow this path through the meadow and beneath the sparsely wooded cliffs. This will ultimately lead to the lake’s outlet. Cross over the small creek. Here there is another option. You can either continue along the lake and then follow the original route to the trailhead or you can take the old road back down. This latter option is a good choice. Rather than cutting through the meadows, it follows the small creek, which has some scenic cataracts on it. Even though the Middle Fork of the Sacramento River’s source is nearby Chipmunk Lake, Toad Lake and this section of the creek make a much more inspiring headwaters. Follow the old road all the way back to the trailhead. 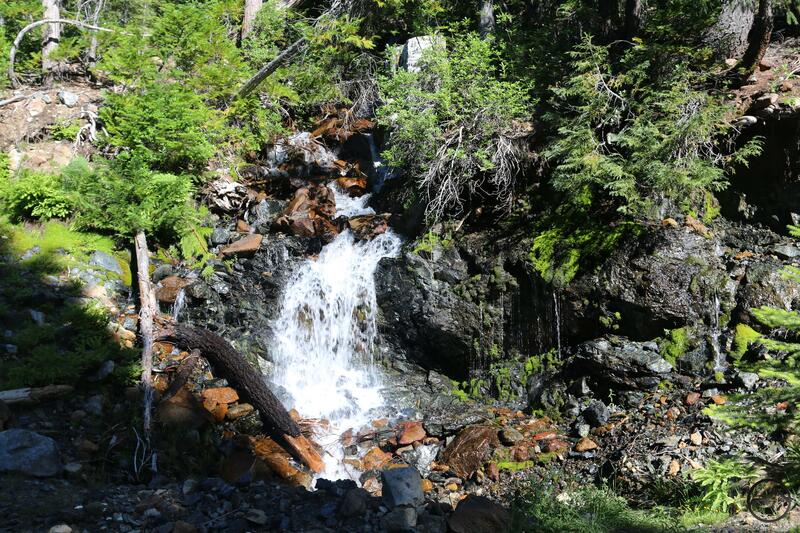 A small waterfall on the way to Toad Lake. From the town of Mt. Shasta, head west on W. Lake, crossing over I-5. At the stop sign, turn left onto Old Stage Road. After 0.25 miles, veer right onto WA Barr Road. Continue south, crossing over the dam that impounds the Sacramento River and forms Lake Siskiyou. At the intersection with Castle Lake Road, stay straight. The road becomes Forest Road 26. Follow this road for nearly 5.5 miles. Just after crossing the bridge over the South Fork of the Sacramento, turn right onto FR 41N53. In 0.2 miles veer left onto FR 40N64. Follow this road for about 10.5 bumpy, beautiful miles, all the way to the trailhead. Amazingly, some sections are paved but there are others, especially toward the end that are challenging for low clearance vehicles.